ON A CLEAR NIGHT in early October, just after midnight, there is a 'tilted'A' constellation clearly visible in the eastern sky in the northern hemisphere. 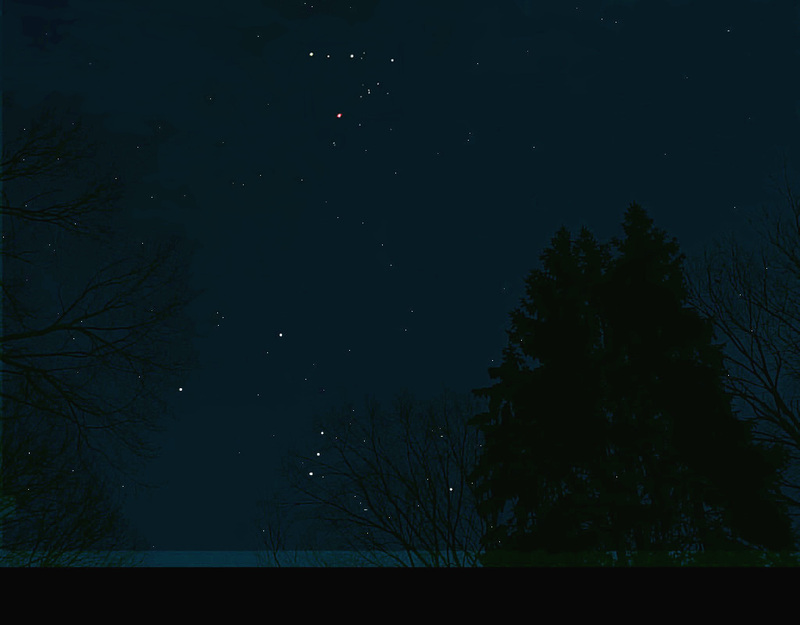 It rises before Orion, "the Great Hunter" with his three-star belt (shown below). The 'tilted A' follows Pleiades, the "Seven Sisters" known as the daughters of Atlas (not shown). In ancient mythology, the tilted 'A' (shown at right) is known as Hyades, the half-sisters of Pleiades. The A-shaped cluster is also known as the face of Taurus the bull. A red star "Aldebaran" (Arabic for "the Follower" after Pleiades) is also known as the Bull's Eye, as in the center of a target, which marks the highest score or symbol of precise achievement. The tilted 'A' also rises as a sign that it is time for an Arlington Homecoming. Every year in October, you can count on the tilted 'A' guarding the eastern sky. By sunrise the 'A' overturns and becomes a 'V' in the western sky, as in 'V' for the Victory Flag so proudly flown at Arlington.